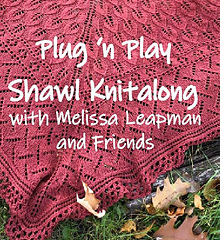 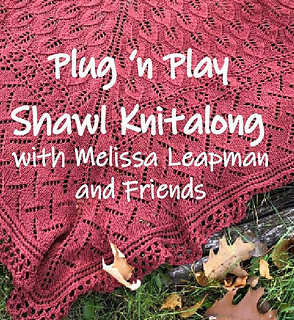 Join Melissa Leapman and friends in a super-fun knitalong in celebration of the upcoming release of her newest book, MODULAR SHAWLS, due out by December 25. 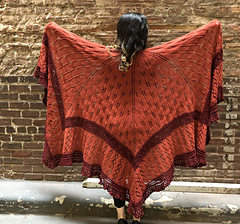 This unique knitalong offers several different mix-and-matchable elements to help the knitter create a one-of-a-kind spectacular shawl. 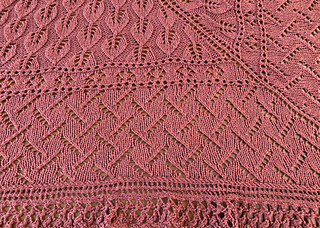 Choose from several lace elements, including allover patterns, horizontal insertions, and edgings. 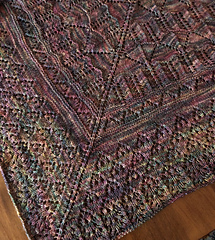 Make your piece in a single color or with different colors for each section. 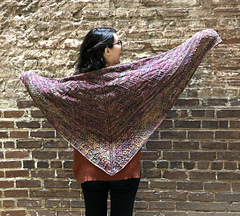 All instructions are given in both text and chart form.